Hardcover, 8.75 x 11 in. / 512 pgs / 1,241 color / 29 bw. "It's a mindblower… I certainly did enjoy the experience. It's a fantastic read and also a fantastic listen." Edited by Johan Kugelberg, Michael P. Daley, Paul Major. Text by Gregg Turkington, Will Louviere, Geoffrey Weiss, Evan LeVine, Rich Haupt, Douglas Mcgowan, Brandan Kearney, Mike Ascherman, Jack Streitman, Gabriel Mckee, Will Cameron, Eothen Alapatt. 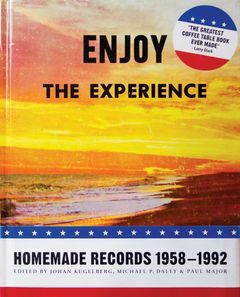 Enjoy the Experience is the largest collection of American private-press vinyl ever amassed and presented, featuring more than 1,000 cover reproductions from 1958–1992. The musicians here range from awkward teen pop combos to pizza-parlor organists; religious cult leaders to Sinatra imitators. But this is not a novelty show: also profiled and discussed are some of the most highly regarded rock, soul, jazz, funk and singer/songwriter albums from the latter half of the twentieth century. Enjoy the Experience begins when the custom-pressed American record plant came into existence and ends, largely, with the birth of the CD. As such, it is a snapshot of America in the second half of the twentieth century and collates a bevy of tales and albums released by the brave souls who took the plunge and committed their musical vision to wax. Enjoy the Experience details a forceful American cultural experience that stands in juxtaposition to the mainstream even as its creators attempted to infiltrate it. With a wealth of full-color reproductions, an introduction by editor Johan Kugelberg, an overview by legendary record dealer Paul Major, along with commentaries, reviews and 50 biographies by noted enthusiasts and collectors, Enjoy the Experience also includes a download card for dozens of the greatest songs culled from the book. 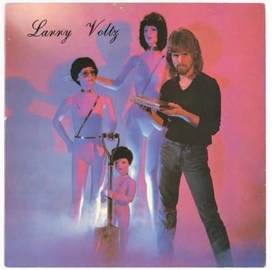 Featured image, "Larry Voltz. The Last Rainbow. Houston, TX: [No label], 1981," is reproduced from Enjoy the Experience. Plumbing the depths of many obsessed collectors’ archives (including their own), editors Michael P. Daley and Johan Kugelberg pulled the best of the very best records. The albums memorialized here aren’t from a better time or a more passionate place — the internet is full of evidence that the beautiful, iterative spirit of humans is hardly dead. But there is a specific light shining through the detritus of all the missions noted here: Once upon a time, it was really difficult to release your own album. The time and focus necessary to make one of these things was part of a ritual act. Reaching even the most distant shore of the mainstream was about devotion as much as ambition. Salute the sweat. A collective aura of strangeness. An affectionate overview …of the musically-inclined but record-labelly-declined. Coming in at a whopping 512 pages with over 1,000 illustrations, this book is a Herculean feat of cultural musicology, graphic design, and collectorship siphoned through the rich history of private-press recordings - vynil record albums produced and paid for by the musicians themselves, mainly in the 1960s and '70s in the U.S. The private-press LPs documented in this spectacularly fun coffee-table book routinely cross those boundaries - sometimes with an eye toward the slick, other times toward the sick, but rarely with hopes for anything like popular approval. 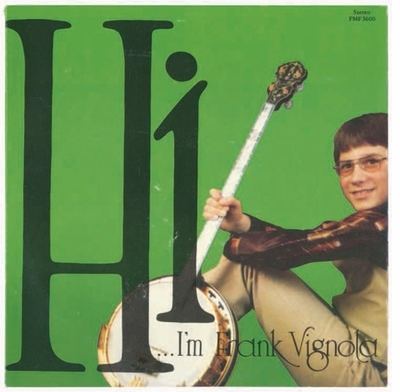 Although many of the elements found here - stock images, cliched photoops, idiosyncratic philosophies, and a distorted sense of self - played tjeir role in commercial album art, the homemade versions extend these strategies into the realm of outsider art. A private-press LP at the thrift store is a curio, a personal find, but the same LP featured in a coffee-table book is a collector's item. Whaterver you might have made of the original, it wasn't - by definition- salable. FORMAT: Hbk, 8.75 x 11 in. / 512 pgs / 1,241 color / 29 b&w.